Hiking, biking, horseback riding, Jeep tours, white-water rafting, and fishing are favorite activities. You can also tee off at one of Summit County's three championship golf courses. 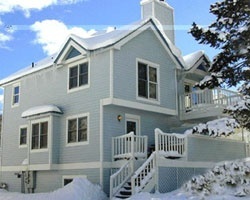 This beautiful Breckenridge resort offers lodging with breathtaking views of the Rocky Mountains. 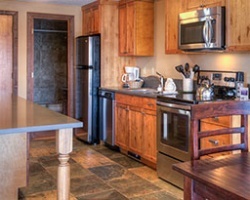 *Gold Point Resort* features fully equipped condominiums that range in size from one to three-bedroom plus penthouses. Whether you are enjoying a ski vacation in the winter, or playing golf or mountain biking in the summer, you and your family will relax in the spacious condominiums complete with hot tubs in each building. 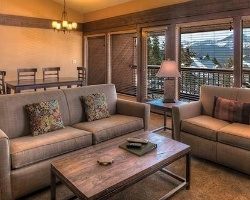 Let the friendly staff at Gold Point Resort plan your perfect Breckenridge vacation! 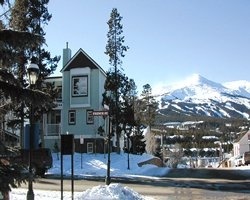 Breckenridge is a 149-year old quaint Victorian town in the heart of the Colorado Rockies. 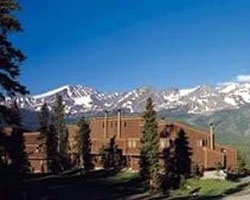 As of the nation's premier year-round resorts, Breckenridge offers an incredible selection of activities. Whether you desire fresh air and sunshine, or the pursuit of fine art, music and a scrumptious meal, this historic mining town offers it all! Winter snow, spring smiles, summer flowers and autumn gold. Friendly people, magnificent scenery, fun-filled days and starry nights. Welcome to Breckenridge! At *Grand Timber Lodge*, you will find everything you need for a great vacation: A lovely and private wooded setting, excellent amenities, all of the comforts and conveniences of home, and a staff eager to make your vacation simply perfect! Breckenridge, located just 98 miles west of Denver, is a charming town with Victorian homes and historical buildings dating back to the Gold Rush days, reflecting the area's rich mining history. 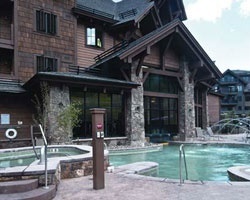 *Marriott's Mountain Valley Lodge* is set in the heart of town on Maggie Pond, overlooking the Quicksilver Super Six. This double-loading six-person chairlift gives access to the entire mountain. The ski mountain boasts a total of 27 lifts and more than 148 ski trails. Restaurants and shopping are nearby. 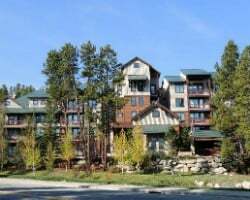 At the foot of the slopes in Breckenridge, *Valdoro Mountain Lodge* is the perfect base for your Rocky Mountain lifestyle--just two hours from Denver in the heart of a recreational wonderland. 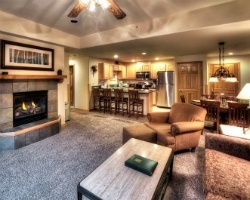 Enjoy a comfortable lounge while relaxing in front of a warm fireplace. 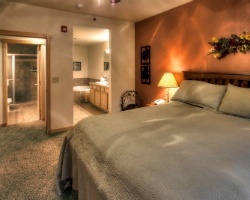 Valdoro's finest on-site amenities include a sundries shop, fitness center, indoor/outdoor pool, games room, single private spa treatment rooms, and two outdoor hot tubs with mountain views. 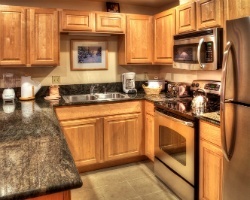 Our luxuriously appointed units vary in size from studios to three-bedroom villas. 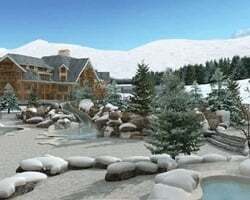 Valdoro Mountain Lodge is the real life of Breckenridge. Come to Colorado during week 12! Rental is available in week 29, July 21st through July 28th, 2019! Inquire for more details! August 31st through September 7th, 2019 available for rent! Don't miss out, book today! 8,000 points available for rent, good to any HGVC destination! Motivated owners will consider reasonable offers, so book now! Rental available during week 42! 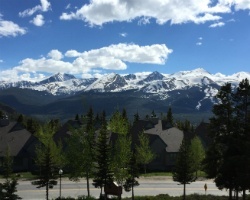 Vacation in high-demand July, Red season week during the Breckenridge Art Festival! Hurry! Book this now! Vacation in Labor Day Week in Red Season! Book Your Trip Now! Neg! Enjoy spring/ fall season week 10! Book week 11 today in beautiful Colorado! Reserve Your Summer Week 28 Today! Price Neg. Magnificent Scenery & 4 Seasons Fun! All Reasonable Offers Will be Considered! Choose Your Week and Make Your Reservation Today! Choose your vacation today. Make an offer. Gorgeous Resort, Stunning Scenery! 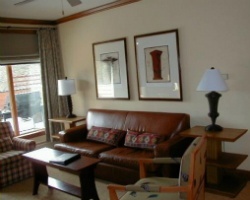 Private Unit in a Winter Season Week- Inquire Today with Your Dates! Fabulous Fall Foliage Week in the Rocky Mountains at Breckenridge, the U. S. Number 1 Ski Resort. Reserved for this year! Negotiable Owner. Try before you buy it and NEVER pay retail for this great resort! Floating week in summer season available for rent! Pick your dates & book your trip today! 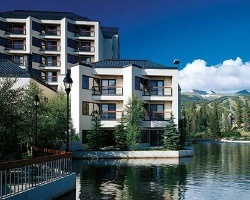 Vacation at this all seasons resort in beautiful Breckenridge! Book your trip today! Make your request Summer season! The unit may also be split! Winter sports lovers rejoice! Rental Saturday to Saturday! Book your trip today! Attention winter sports' lovers! Saturday to Saturday! Book your trip today! Enjoy this mountain lodge in the summertime! Book this now!